Ladies: free. Men: Varies by time. « AMP, Music Meets People. 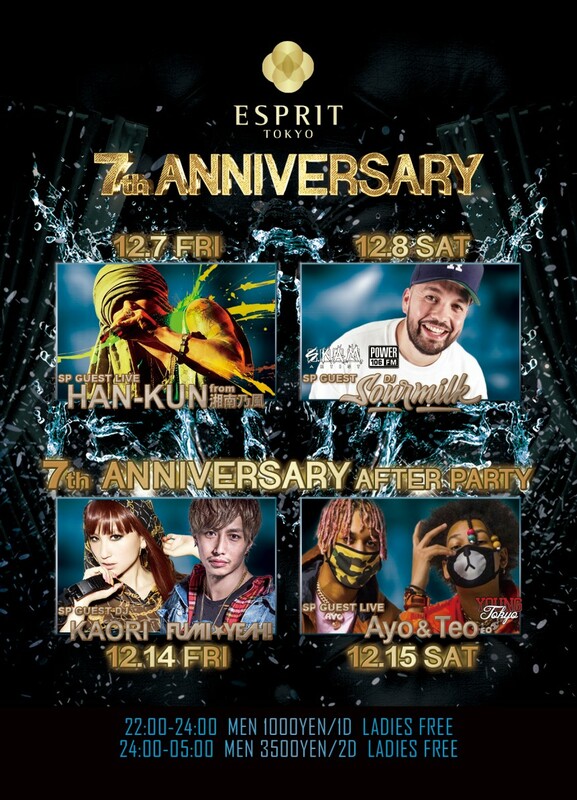 Esprit Tokyo will be holding their 7th anniversary bash at its home, one of Roppongi’s best nightclubs, over two weekends this December. With incredible musical acts including Han-Kun, DJ Sourmilk, DJ Fumi-Yeah and DJ Kaori, AYO & TEO. Make sure you come by on one of these nights and celebrate with the Esprit team! December 7, 8, 14 and 15.